Firstly, let me say in response to a rumor that's been going around that I don't support rent control: I am absolutely supportive of rent control. See below for my full position on affordable housing. 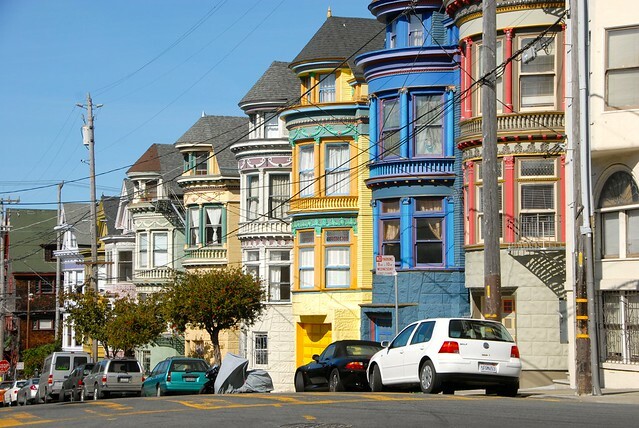 The largest cause of skyrocketing housing costs in San Francisco is a lack of affordable and middle-income housing. Of the thousands of units of low- and middle-income housing planned for by the city, only a fraction have been constructed. This problem is exacerbated by the city’s continued courtship of high-tech, high-income jobs which bring high-income renters into San Francisco. High rents push tenants who would otherwise be able to otherwise be able to afford a studio or one-bedroom apartment into sharing larger units that would otherwise be able to accommodate families, reducing the housing stock for families and contributing to their flight. A robust and sustainable Housing Trust, designed to construct housing for low- and middle-income citizens, is a key aspect of the solution to this. I also look to the St. Francis Square Co-op in the Western Addition as an example: well-constructed in 1963, sponsored by the ILWU (International Longshoremen’s and Warehousemen’s Union), and made to be affordable. Once we see housing as shelter for citizens and not as a for-profit venture for developers, we will start treating it more seriously. I have been both a renter and an owner in San Francisco. In the late 90s, I was renting in 400 square feet with a 93-pound Catahoula hound, a toddler, and a full-grown husband. We needed more room. Astronomical rents made buying look like a much better option. After a full year of looking, we found a house on Haight Street. We had police officers advise us against moving in due to the neighborhood's dangerous reputation, and that same reputation scared away all of our potential TIC partners. We ended up going in on our own. There were three flats in the house, one of which was occupied by a set of white, college-educated men and women. We settled with them in order to move in, and gave them extra time and money with the recognition that it wasn't a perfect solution. We now have two sets of tenants in the two other flats, and the leases precede us. All of our tenants are supporting my run for office! I received a questionnaire from both the San Francisco Tenants Union and the Small Property Owners Association, but responded to neither. Each wanted me to pledge support for measures more extreme than presently in place. I support rent control. I feel very fortunate as a "ragged edge of the middle class" working family to have a place that I know I can stay in, and will fight for others' rights in this city to rent or own property at a reasonable rate. There are certainly abuses by property owners and those using the rent control system. But as Supervisor, I would like to find news ways to get more housing on the market, rather than staking out extreme positions on either side of the battle.